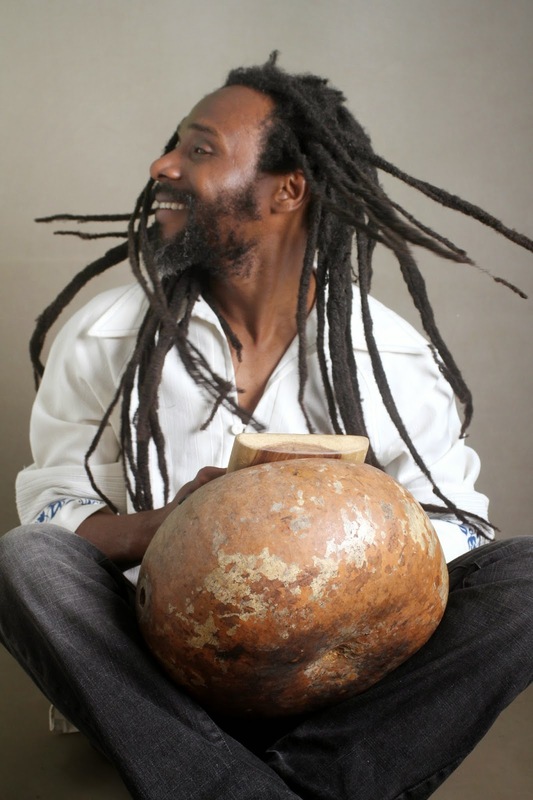 From Mathew Tembo's forth coming album "Chachacha Oyamba". 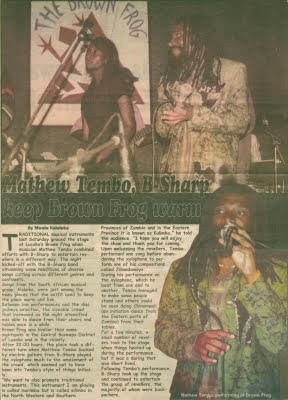 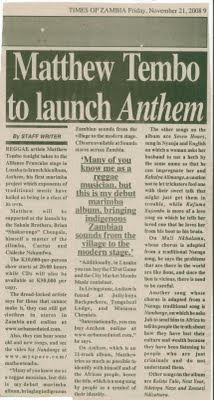 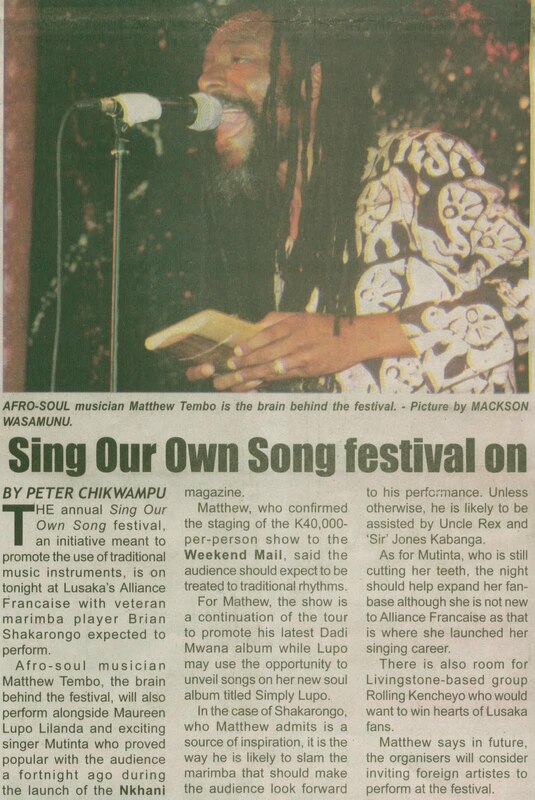 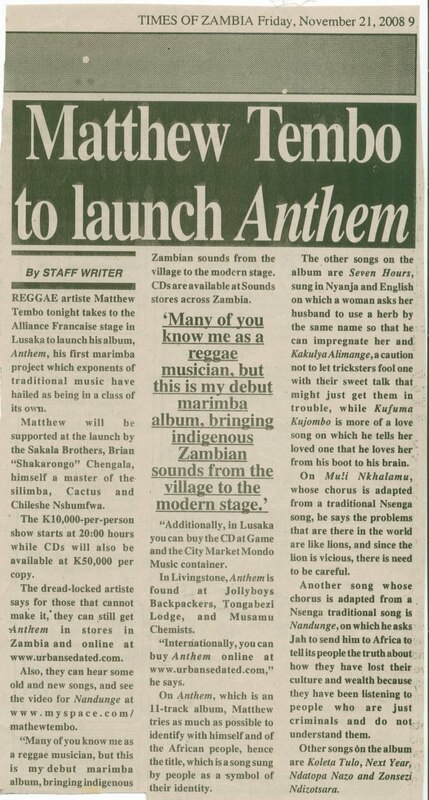 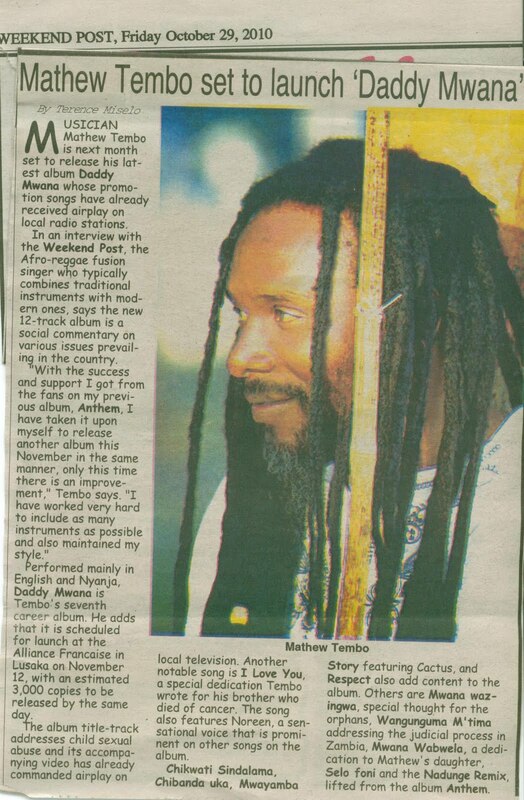 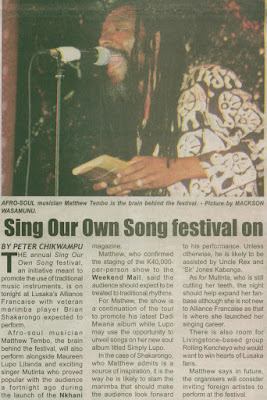 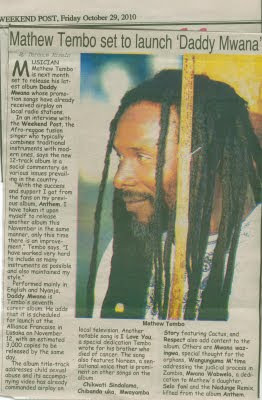 Nearly all of Mathew's concerts in Zambia are covered by local papers. 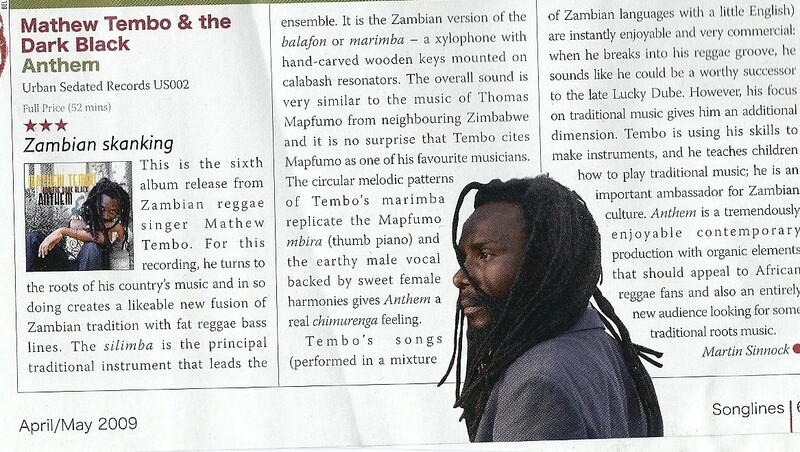 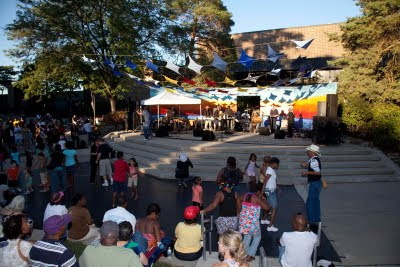 Here are some highlights over the past few years, as well as one from Songlines world music magazine. 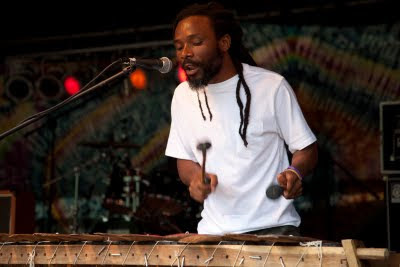 This is Mathew Tembo's new video from his latest album "Dadi Mwana".